This project includes web design and marketing for Halberstadt Orthodontics, an orthodontist with three office locations in the New York City area. Particular emphasis has been placed on search engine optimization with a goal of significantly increasing new patient acquisition. Local SEO for multiple locations in a very competitive market has been a primary focus. Additionally, this has been supplemented by advertising and social media campaigns. 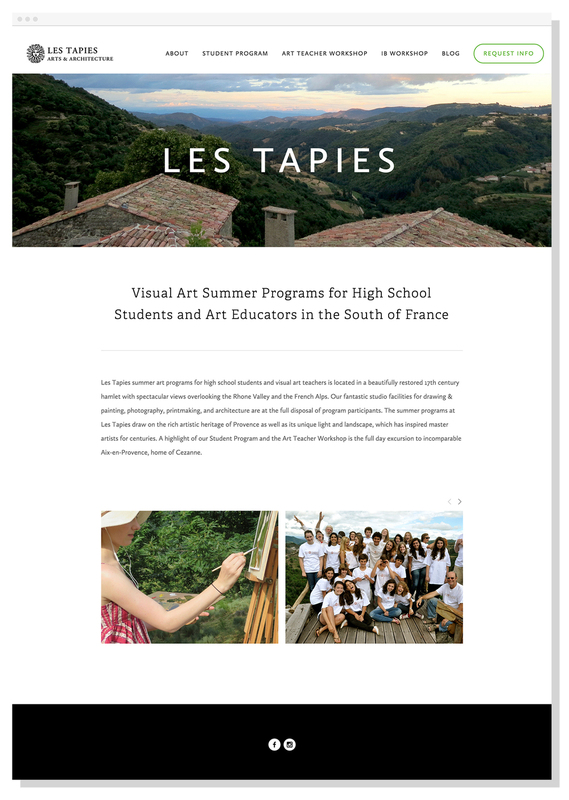 This project includes web design and marketing for Les Tapies Arts & Architecture Summer Programs. Les Tapies is a series of visual arts workshops for students and art educators in the South of France. The project intends to showcase the extraordinary educational experience, location, facilities and cultural experience using large, dynamic photographs and video. A corresponding social media campaign was also implemented along with a blog documenting the program.